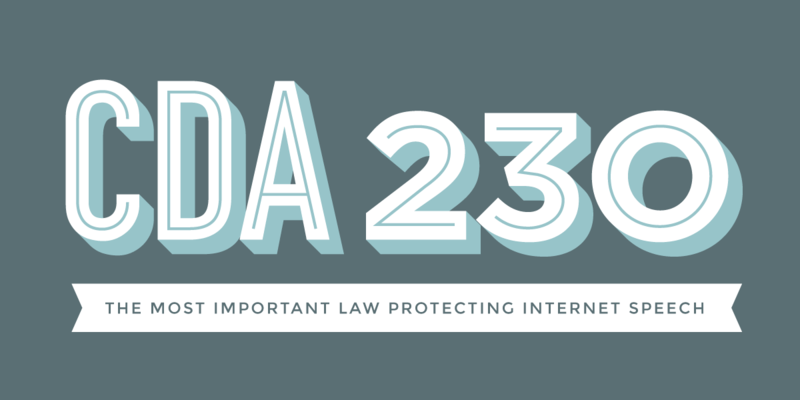 We talked to Aaron Schur, Senior Litigation Counsel at Yelp, about why CDA 230 is fundamental to the website's existence. Yelp, which was founded in 2004, is a website that lets users find and review businesses. A monthly average of 78 million unique site visitors have written over 30 million reviews—meaning Yelp hosts a lot of free speech. According to Yelp, most reviews are positive, but occasionally some businesses focus only on the negative reviews. Sometimes, these displeased businesses turn to legal action against the middleman, not the speaker, in order to censor speech. This is precisely what CDA 230 was created to address. As a review site, you host a lot of speech. How do you respond to complaints about user behavior? A user who believes a review violates our content guidelines can flag it for removal—this includes reviews that a final court of competent jurisdiction has deemed to be defamatory. We do not take sides in factual disputes, however, so we do not remove reviews that appear to reflect the experiences of the reviewer. Our user operations team manages these inquiries, and explains their decisions to the reviewers. And what about complaints from users or businesses who, let's say, don't appreciate a negative review? A small minority of businesses will always take issue with the fact that Yelp provides consumers with a platform to express their opinions. CDA 230 is pivotal to our business in this regard: reviews are the responsibility of the people who write them, not the platform that hosts them. What would happen if CDA 230 did not exist? Absent CDA 230, websites like Yelp would be pressured to avoid liability by removing legitimate, negative reviews, and they would deprive consumers of information about the experiences of others. Do you think CDA 230 should be changed in any way? What other changes could be made to help protect online intermediaries like Yelp? Yelp supports the extension of Anti-SLAPP protections to the federal level, which would protect consumers from frivolous litigation challenging the legitimacy of their honest local businesses reviews. Yelp is just one example of the countless startups, businesses, and blogs that owe their existence to CDA 230. The concept of relieving intermediary liability is fundamental to making the Internet thrive. Do social media companies bear some responsibility when violent acts are posted on their pages?